← How Long Does It Take to Drive to the Sun? Before Foo Fighters was a band, they were among the greatest mysteries of World War II. A few of these strange UFOs were seen early in the war, but they became commonplace over the European theatre in 1944 and to a lesser degree in the Pacific. The Allies feared they were a secret German weapon. After the war, it was learned that German and Japanese pilots were seeing the same phenomena. Ray Davis is the author the Anunnaki Awakening speculative fiction trilogy. Book 1 – Revelation – is now available on Amazon. 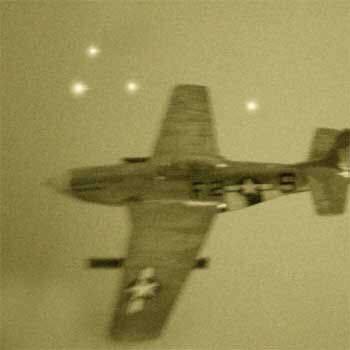 This entry was posted in ET/UFO, Mystery, UFOs and tagged Foo Fighters, What are Foo Fighters, WWII Foo Fighters. Bookmark the permalink.